International journalist Eva Bartlett provides fresh coverage from on the ground in Syria and Palestine. We discuss what is happening there and why our mainstream news reports are misleading. My critique of Paul Joseph Watson’s burgeoning neoconservatism and his Zionist disinformation about Muslims and the real culprits behind the war on free speech. 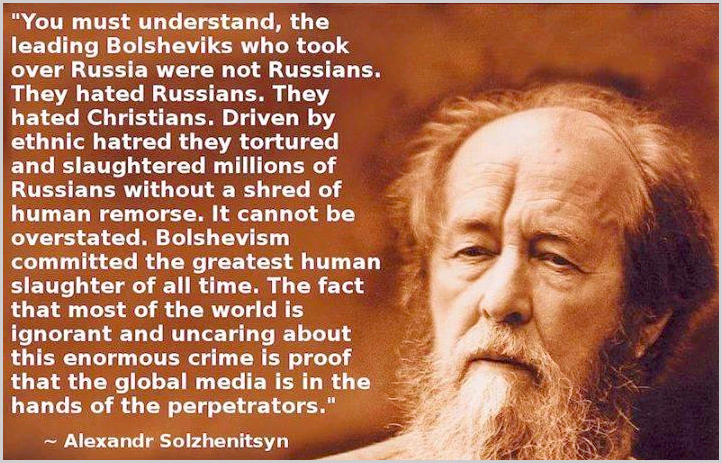 The great majority of the Bolsheviks were Russian Ashkenazi Jews such as Vladimir Lenin, Leon Trosky, Lev Kamenev, Gregory Zinoviev, Yakov Sverdlov, and Grigory Sokolnikov. They were financed by Ashkenazi bankers from New York and London such as Rothschild Bank and Jacob Schiff of Kuhn and Loeb & Co. who themselves championed the destructive ideology of the Ashkenazi Karl Marx and found it profitable to invest in Communism’s disastrous conquest of Russia while making a few bucks in the process by plundering the country via well placed agents who would later be known as ‘oligarchs‘. We’re all well aware by now of the Ice Bucket Challenge – a viral trend in which people, including celebrities and pro athletes, are funding ALS research and raising awareness of the deadly disease. But how about the Rubble Bucket Challenge? No ordinary copycat, the Rubble Bucket Challenge almost mocks the frivolity of the North American trend of taking an icy cold shower by displaying the harsh reality of everyday life in the Gaza Strip. Yes, residents of Gaza have taken to dumping rubble, sand and gravel over their heads to raise awareness of the harsh living conditions in the war-torn region. Instead, rubble from destroyed buildings appears to be bountiful in the region. The Rubble Bucket Challenge Facebook page was started on Saturday and has quickly garnered over 4,000 likes, as well as submissions posted by a variety of people from all walks of life. collapse of Egyptian-led ceasefire talks earlier this week. FUNNY — Emmy Awards 2014 – Spoilers!! Leaked Clip for Best Psychopath!! WARNING SPOILER ALERT!!! Leaked clip from the rehearsals of the 66th Annual Emmy Awards (2014) scheduled to air August 25th, 2014. WARNING SPOILER ALERT!!! On 4 September 2012 Warsi was appointed as Senior Minister of State for Foreign and Commonwealth Affairs and Minister for Faith and Communities. Also, Warsi is a former co-chair of the Conservative Party. Warso was also the first female Muslim minister to be appointed in David Cameron’s cabinet. Miliband stresses on Cameron’s failure to condemn Israel’s unacceptable killing of Gaza civilians on Sunday, according to the guardian. “Speaking out is necessary to piut the pressure on Israel as of course there must also be pressure on Hamas, a terrorist organization, to end this violence”, said Miliband. Miliband also told LBc Friday that the British government is “in the wrong place in its approach to Israel’s military operation in Gaza”. More than 1,650 Palestinians, most of which are civilians, were killed since the beginning of the ground attack of Israel in the Gaza Strip; meanwhile, 63 Israeli soldiers and 3 civilians were killed according to various news websites. There were protests across Britain in July 18 against the BBC’s coverage of the Israeli military’s operation against the Palestinian refugees in the Gaza Strip, calling for fair, unbiased and contextual reporting of the events. The Cairo Post – additional editing by Christof Lehmann,nsnbc international. Dear nsnbc readers. We have added the complete letter of resignation of Baroness Sayeeda Warsi below. The letter is from the official Twitter account of Baroness Warsi. Please click on the image of the letter to view it in full size in another browser window. In the aftermath of successive Israeli military strikes on civilian homes, hospitals, mosques, television stations and refugee faculties, public antipathy towards Israel has reached fever pitch in many parts of the world as Tel Aviv pushes forward with its bloodiest military operation in Gaza to date. Despite an extensive effort to harness social media to promote its slogans and talking points, mainstream opinion is increasingly viewing Israel’s ongoing campaign, referred to as Operation Protective Edge, as an indefensible demonstration of raw military force against a civilian population.Images of maimed children, inconsolable families, and Gaza’s burning skyline have dominated global news coverage for much of the last four weeks. In the face of a ceaseless assault that has taken the lives of more than 1,700 and injured over 9,000 others, sympathy for the Palestinian cause has never been higher. Amid continued calls for the cessation of violence, Israel has taken a defiant stance and vowed to push ahead with its stated objective of dismantling cross-border tunnels built by Hamas, which is being increasingly interpreted as a case of mission creep to legitimize a protracted military offensive. Israel’s stated military objectives serve to obscure the unstated goal of its operation: preventing the newly formed Palestinian unity government – the product of a landmark reconciliation deal between Hamas and Palestinian President Mahmoud Abbas’ Fatah party – from carrying forward a Palestinian bid for statehood. Israel’s latest offensive on Gaza cannot be seen in isolation; it is linked to the collapse of US-backed peace negotiations that began last July, aimed at establishing an outline for a final agreement intended lay the groundwork for Palestinian statehood by April 2014. Tel Aviv refused to yield during negotiations, insisting on a long-term military occupation of the West Bank and refusing to freeze construction of Jewish settlements. The Obama administration proved unwilling to place any meaningful pressure on Israel to encourage it to make the kind of urgent concessions needed for the continued viability of the talks. Washington’s deal failed to provide guarantees for an Israeli military withdrawal from the West Bank, and failed to guarantee East Jerusalem as the capital of a future Palestinian state. The conditions required Palestine to acknowledge Israel as “the nation-state of the Jewish people,” effectively renouncing any claim to their historic lands. The disillusioned Palestinian leadership unanimously approved a decision to join fifteen UN conventions and international treaties, in addition to forming an alliance with Hamas, following Israel’s failure to release the final tranche of Palestinian prisoners that it agreed to as part of the framework for the discussions. Israel condemned the reconciliation deal and called on the international community to boycott the new unity government due to Hamas’ participation; it also claimed that the Palestinian Authority (PA) would now be held responsible for any rocket attacks launched from Gaza. Tel Aviv has since declared war on Hamas precisely in an attempt to impede the operations of the Palestinian unity government. There are also notable economic considerations that may be influencing Israel’s position toward Gaza. 40 per cent of Israel’s electricity supply is dependent on natural gas, while rising energy prices threaten to undermine the country’s economic growth. Gas imports from neighboring Egypt have slowed due to instability in the Sinai Peninsula, while the near-depletion of Israel’s offshore Tethys Sea gas fields proves to be a major political obstacle. An estimated 1.4 trillion cubic feet of natural gas was discovered off the coast of Gaza in 2000, with a projected market value of $4 billion. The fields have not been developed due to Israel’s fears that Hamas would reap the proceeds of any gas deal with the Palestinian Authority. Tel Aviv is also politically opposed to the Palestinians acquiring extensive economic resources that could be used to lay the foundations for statehood. Tel Aviv has made major offshore oil and gas discoveries in 2009 and 2010, with the Tamar and Leviathan fields that combined hold an estimated 30 trillion cubic feet of gas. However, most of the Levant Basin lies in hotly disputed territorial waters between Israel, Syria, Lebanon, Gaza and Cyprus. Gaza’s Marine-1 and Marine-2 gas wells are adjacent to other Israeli offshore installations, and Tel Aviv’s ability to develop the fields – at minimum to serve as a potential short-term supply to stave off future energy shortages – depends on thwarting Palestinian bids for statehood, allowing Israel to continue managing of all the natural resources nominally under the jurisdiction of the Palestinian Authority. The ongoing offensive against Gaza represents Israel’s rejection of the two-state solution; on the other hand, it also opposes a bi-national one state solution. Tel Aviv has demonstrated that it is only interested in maintaining the status quo: a colonial settler state built on Jewish supremacy over land and resources by means of the violent repression and subjugation of ethnic Arabs. Operation Protective Edge has done more than exhibit the grossly asymmetric military superiority of one side over the other: it has again exposed the willful bias of western capitals and various media outlets that favor Israel unconditionally, in the face of its deliberate attacks on civilians and violations of international law. The United States provides $3 billion in annual military aid to Israel, and while strong language has been used to condemn Tel Aviv’s military transgressions, Washington’s foreign policy discourse has unflinchingly placed the primacy of Israel’s security above all else. Israel acts with total impunity, without regard for any consequences, precisely because Washington has obediently provided Tel Aviv with diplomatic cover, shielding it from any form of accountability. The United States was also the only country that voted against launching a UN investigation into human rights violations committed by the Israeli military in Gaza. The Obama administration did indeed condemn Israel’s recent shelling of a UN school, which killed at least 16 Palestinians, calling Tel Aviv’s actions “totally unacceptable and totally indefensible.” In a brazen display of duplicity, Washington then confirmed it would provide Israeli forces with restocked supplies of ammunition, including mortar rounds and grenade launchers. If Israel is genuinely interested in restoring security to its citizens, it should acknowledge that fewer rockets were fired into Israel in 2013 than at any point in the past decade, by virtue of a negotiated ceasefire mediated by Egypt that ended Israel’s eight-day campaign against Gaza in 2012. Hamas hadn’t fired a single rocket until the current offensive began, and it established a special police force tasked with suppressing the rocket fire of splinter groups. Indiscriminately targeting the men, women and children of Gaza provides Israel with no tactical military advantage; it only ensures that an entire generation of Palestinians will be radicalized in their opposition to Tel Aviv and bent on avenging their fallen compatriots by any means necessary, fueling the endless cycle of violence that has plagued the region for decades. Tel Aviv could have long since brokered a compromise with the Palestinian Authority through the framework of the two state solution, but by continuing to enforce a punishing regime of apartheid and settler colonialism, backed by ultra-nationalism and militant Zionism, it is undermining its own legitimacy in the court of public opinion and exposing itself as deplorable rouge state. This article appeared in the August 05, 2014 print edition of The Malaysian Reserve newspaper. 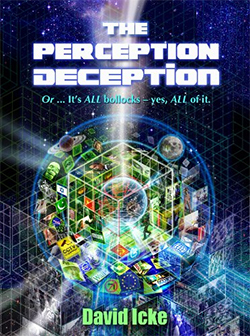 Considered one of the classics of conspiracy research, David Icke has spent the last quarter of a century unraveling the secrets of the universe, reality and the forces that manipulate our world. After writing more than 20 books, David Icke has driven on with his unrelentless investigation into subject areas that others don’t dare touch. Icke shares his analysis of US occupation in the Middle East. He’ll also talk about ISIS, with an alleged extremist Islamic agenda, yet silence from Israel. 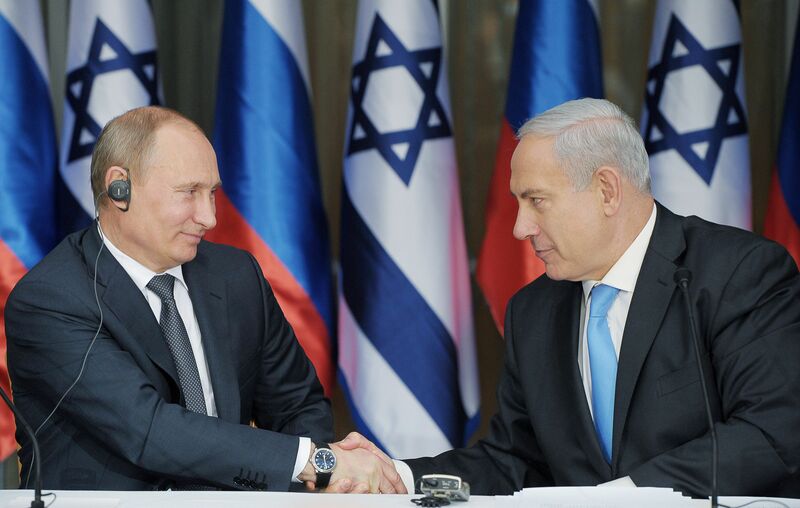 We’ll talk about the genocide of Palestinians and the redrawing of the Middle East with Israel as the new dictator. David discusses the origins of Israel, which is based on a hoax. He’ll discuss events leading up to the creation of the State of Israel. Then, we’ll talk about where the elite want to take the world and the techniques they’re using to get there. Their techniques include the destruction of nationhood and forced multiculturalism. Icke comments on Europeans who are re-acting to preserve their nationhood, challenging the European Union and fighting back. We’ll talk about how the elite are working hard to establish a one world culture, a mono everything, through killing true diversity. Later, he’ll speak on the inner core of Zionism that functions like a secret society. We also talk about how young Jews are being programmed from birth and being used for a bigger strategy. At the end we discuss how people are frightened into silence, sticking their heads in the sand but this will not make the problems go away. Diversity of everything, including power is needed. Tonight on BulletPoints: Our guest this week will be Joaquin Flores of the Center for Syncretic Studies and we will be talking about the current phase in the ongoing struggle for Palestine and how it relates to the broader questions of Zionism and imperialism, both regionally and internationally. 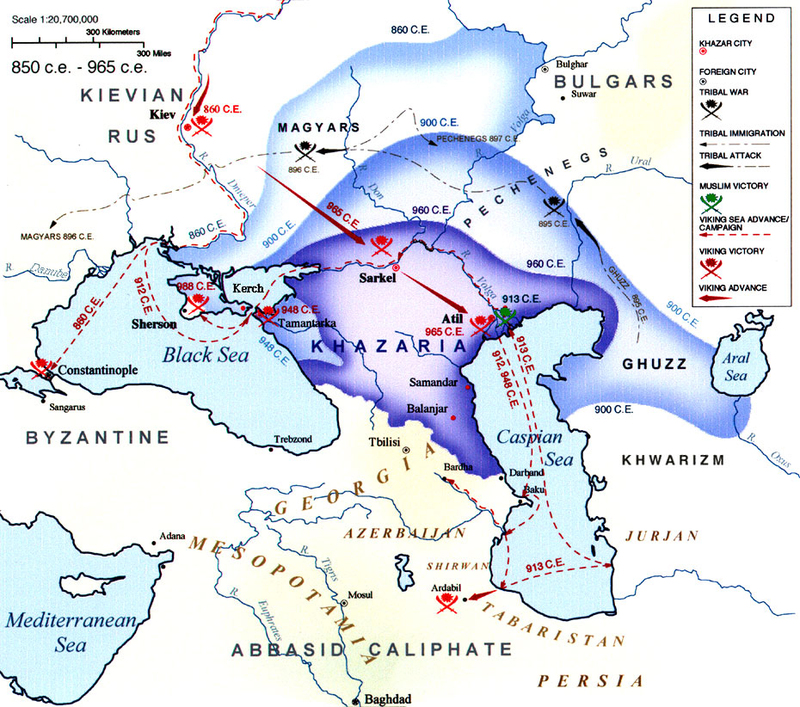 And yes, Ukraine, Russia, Syria and the Balkans will all work their way into the conversation.